It's a hot day in Houston, damn hot. So, of course, I need an ice cold cocktail. Something with rum and lime juice. Hence, the Royal Bermuda Yacht Club Cocktail. I found it in the PDT Cocktail Book, but they mention that it's in Vintage Spirits and Forgotten Cocktails, and that book says that is comes from the Trader Vic Cocktail Book, the 1947 version of which I also have. So I had to do a taste test. and strain into a chilled coupe. I used John D. Taylor's Velvet Falernum, but I guess you could use a homemade version if you wanted. Like all of Trader Vic's drinks, this one is small, but it packs a wallop. For having so little sweetness, it is surprisingly balanced. The falernum provides the right amount of herbal spice notes and just a little sugar. 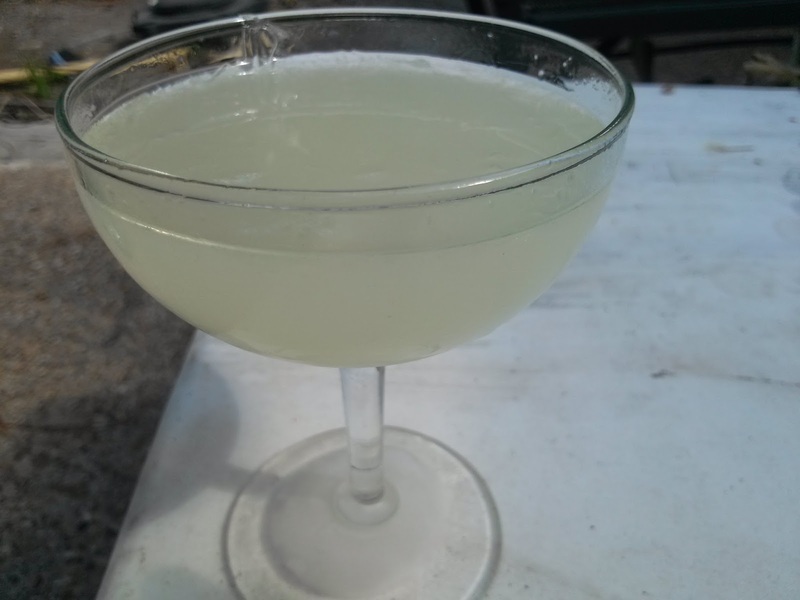 The lime comes on a bit strong, but it's a great riff on the classic daiquiri. Basically, a daiquiri with a hint of spice. The herbal/spice element is lessened by less falernum by quantity. A good drink, but I like the extra spice of the extra falernum. This one is mostly a daiquiri. It's a superb drink, with spice and sour. Basically, it's a rum sour with a bit of herbal, and that herbal nature takes it over the top. Man, the Royal Bermuda Yacht Club Cocktail is a drink I will come back to again and again: simple ingredients I always have on hand, and a perfect combination. I will use either the Trader Vic or the PDT version, though. That spice note just gets me every time.